Cha Cha Velour has taken over the Boom Boom Room at Boomers bar for her monthly off-strip burlesque production "Live Burlesque in Las Vegas" for some time. Best known for her involvement with the Burlesque Hall of Fame (Las Vegas) Cha Cha Velour (not to be confused with Chi Chi Rivera) has earned her place in the 'Burlesque Community' since 2006 as one of the few dancers and enthusiats who live in Las Vegas actually practicing the art form. Our hero is also an organizer, despite working her full-time job in the medical field. Some of 2011's amazing accomplishments for Cha Cha Velour include opening her own Las Vegas dance studio, and being named among the top 50 (#42) by the readers of 21st Century Burlesque Magazine, which is a Magazine that has published timely articles for years about what performers really want to know, and top stage news about upcoming festivals. As for the new studio, Cha Cha has hosted classes at various previous locations under the name "Las Vegas Burlesque Classes", and will bring her events and lessons to the newly mirrored, wood-floored, painted, and ready-to-go studio in Paradise. No, really it's in Las Vegas but technically in Paradise Nevada at 900 Karen Ave suite C-209 Las Vegas, NV, 89109 and Ph. 702-625-0495. Take a lesson. Velour's roster of friends dropping in to share their expertise in Vegas alone will be ample reason to stay in touch. The website's schedule is well maintained and filled with details at ChaChaVelour.com, or LasVegasBurlesqueClasses.com. Cha Cha Velour is getting ready to kick-off the Second Annual "Man Show" through Live Burlesque in Las Vegas. with burlesque 'heavy-weights' (no pun) coming in from surrounding areas in celebration of vintage and neo- burlesque, including guest performers from Colorado and also the amazing Bobby Burlesque (Hollywood). 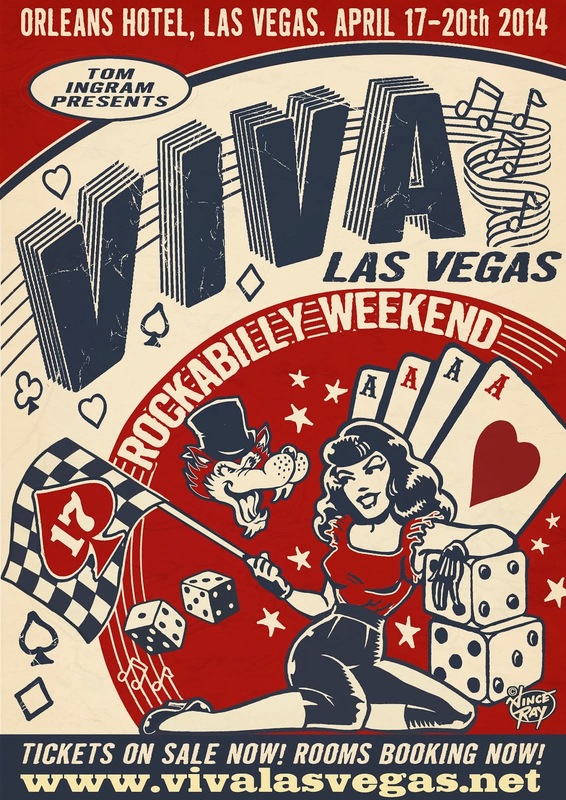 Cha Cha is also at the Viva Las Vegas Rockabilly Weekender coming up at the Orleans Hotel. Specifically you can catch the buxom brunette performing at the Burlesque Bingo put on by Audrey Deluxe. Burlesque Bingo has several performances at the Pabst Bar at Big Al's Comedy Club inside the Orleans in Vegas, Thurs.-. 10pm, Fri. 9, Sat. 7, and 9pm. Advance VLV 15 Tickets available via VivaLasVegas.net, and may be required. Check out the 2nd Annual Man Show at Boomers, 3220 W. Sirius Ave, Las Vegas, Nevada for two show times 8pm or 11pm, Saturday March 31, 2012, and visit https://www.brownpapertickets.com/event/215988 for tickets.